Do you miss Dexter? Jean Bastière, hero of the Spotless TV series now streaming on Netflix, is no Dexter Morgan, but the two would have much to talk about. This French and British co-production is advertised as a black comedy, but there are few – if any – laugh out loud moments. It’s a dark, slow-paced thriller with flashes of violence, compelling drama, and lots of blood. 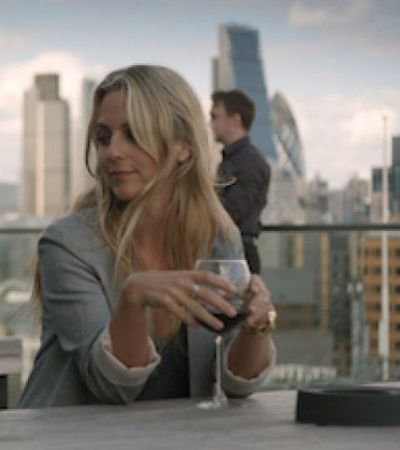 Funny or not, Spotless will soon have you under its spell. 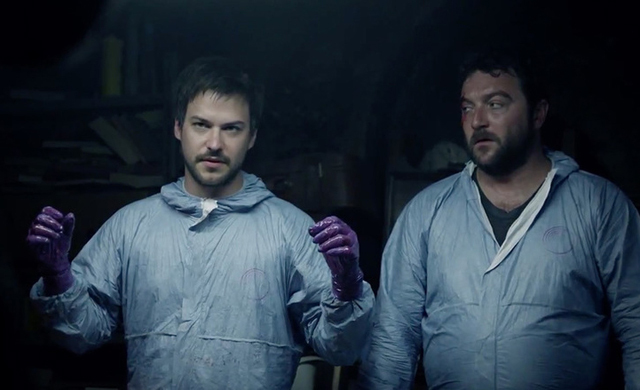 Jean (Marc-André Grondin) runs a business cleaning up crime scenes in London, usually homicides. Hence the blood, guts, and brain matter. 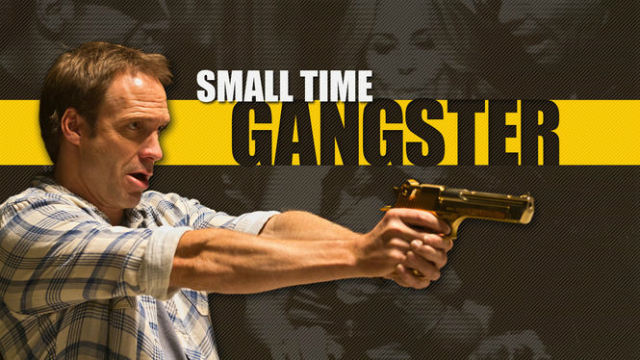 His main client is the police department, but not everything is above board. Payoffs and backroom deals are standard business practice; Jean has a hard time staying financially afloat. His brother Martin (Denis Ménochet) unexpectedly shows up, asking Jean to help him get out of trouble. Jean is reluctant, but the situation soon presents some new business opportunities. The first episode of Spotless may leave you unsure, but there’s a good chance you’ll be hooked before the second one is over. Martin is a very annoying character when he first appears, and, like Jean, we wanted him out of our life. The netTVwatch review team was not sure how much we could take, but Martin soon reveals more depth. 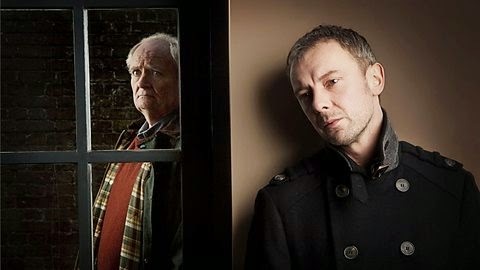 We see some of his good side, and, it’s safe to say, no one in this TV series is purely good or bad. 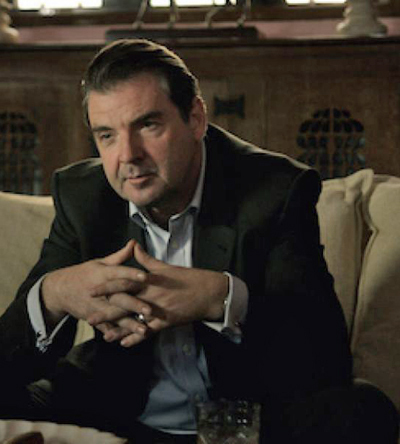 A case in point is Nelson Clay, played by Brendan Coyle, the beloved Mr. Bates from Downton Abbey. You will soon forget all about his past as Mr. Bates. Also noteworthy are Jean’s wife, Julie (Miranda Raison), and daughter, Maddy (Gemma Donovan). Jean also has a son, and his new ventures, along with Martin’s presence, have an effect on all of them. Like Dexter, Jean bears psychological scars from traumatic childhood events. He is not a serial killer, but he is meticulous about his work and seemingly unfazed by pools of blood and gore. He is also awkward socially, but comfortable and confident in the secret parts of his life. Sounds familiar, doesn’t it? 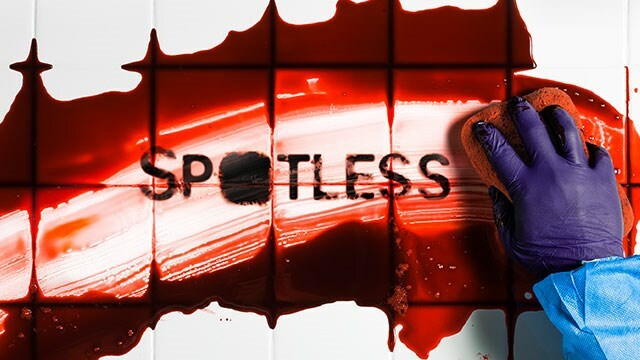 The Spotless TV series is a co-production of StudioCanal and Rosetta Media. It first aired on France’s Canal+ network in March, 2015. Spotless season 2 is in the works, but not yet available. All ten, hour-long episodes of Spotless season 1 are available on Netflix. It’s been a slow few months for foreign TV shows on Netflix, but Spotless is one to watch.